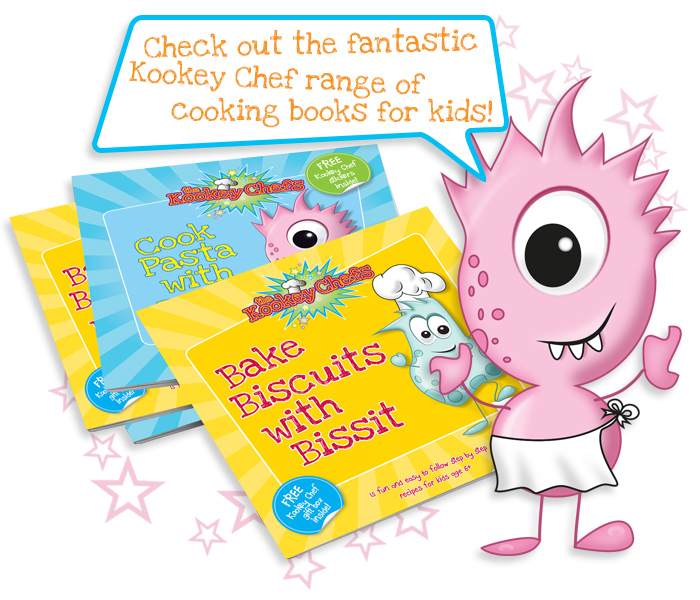 The Kookey Chefs range of cooking books help your little ones learn lots of fun recipes with tips and techniques along the way! The Kookey Chefs make cooking great fun for kids with fantastic recipes and eye catching characters helping every step of the way! From The Kookey Chef recipe books to official merchandise there are lots of reasons why kids will get excited about cooking in the kitchen! Welcome to the kookiest place in the universe! Discover all about The Kookey Chefs, planet Kooktron and help them complete their mission!